Synopsis (from the Cover): When the media frenzy over the hostage crisis of 1979 worsens and anti-Iranian sentiment surges all over the United States, Roxana, a Wall Street attorney has no choice but to return to Iran. During a stop in Paris, she meets Steve Radcliff, an American reporter with a tenacious attraction to her. Back in Tehran, where circumstances are nothing less than volatile, Roxana learns that revolutions while exciting and historic on pages of a book are painful to endure. As one crisis after other spins out of control, the government imposes wearing of a mandatory veil. This harsh revolutionary rule and Saddam Hussein's invasion of Iran diminish Roxana's hope to have a normal life. She rejects Steve's marriage proposal and refuses to leave Iran with him. But a near- death experience and loss of her freedom in a border- sealed Iran propel her to enter a marriage doomed from its inception. In this novel, an Iranian woman's life comes full circle as she takes a journey through Europe, and back to the United States. A dire situation takes Roxana back to Paris where a life-altering surprise is waiting for her. Did I die and go to book heaven this week?? They've all pleasantly exceeded my expectations. 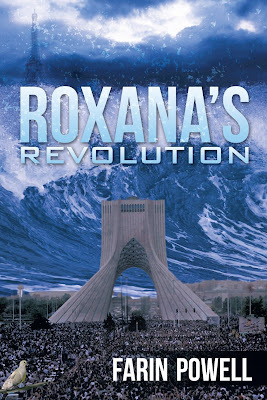 Roxana's Revolution is no exception. This particular book struck a chord with me as my brother and sister are half Iranian, my brother being born in 1979. Although it didn't affect us directly (well, especially not me since I wasn't here for another 8 years), we do have many ties to their side of the family over there to this day. Since I wasn't here until later, and although this book is technically fiction, it really educated me on the historical (and present) aspects of the Iranian (or Islamic) Revolution. I think this is a useful read for everyone. 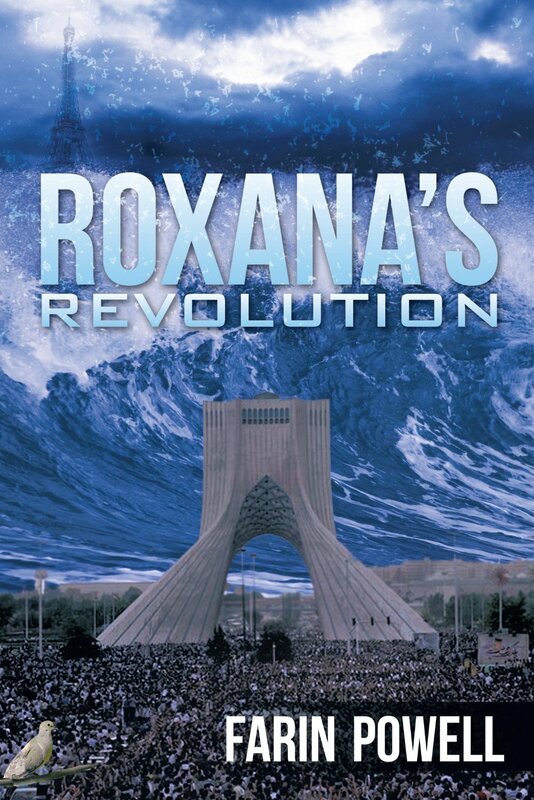 Roxana's Revolution is the journey of a woman caught up in the American hostage crisis in Iran. A lawyer in the United States, Roxana chooses to return to Iran where she isn't viewed as the 'enemy' during the international crisis. We are taken through a journey of life, loss, and strength as she discovers what it is to be in the middle of the war. It is thrilling, epic, and I think there is something we could all learn from it. I, personally, love history. I love education. I just like knowing stuff. I will spout out a slew of information even if it pertains to absolutely nothing just because it's an interesting thing to know. Not that this is useless information, because it definitely applies to us all more than we may think it does. This is why I got engrossed within the pages of Roxana's Revolution. Although the story is meant to be fiction, I knew I was learning something as the story was unfolding. It was gripping and I feel more educated on the matters of what I see on the news every day than I did before. Farin Powell did a beautiful job painting the picture of the Iranian Revolution with grace and eloquence. She shows us how it has influenced the changes that Iran has faced since. Like I said, my siblings are part Iranian. So at least second-hand I can understand how it feels for them to be put in a certain grouping for something they really have no connection with other than their immediate family (who actually spend a lot of time over here anyway). They will get phone calls or letters in the mail although they've never put on any paperwork what their ethnicity is. They have been American ever since the day they were born. I can imagine how it would be for someone living here being caught up in the whirlwind of prejudice without any control over it. I would recommend this book for everyone, for the sake of understanding. Although it's explaining history, that very history has much influenced the things we see on the news today. Fantastic book. This is one I would read again.